To weld on slide or not ? 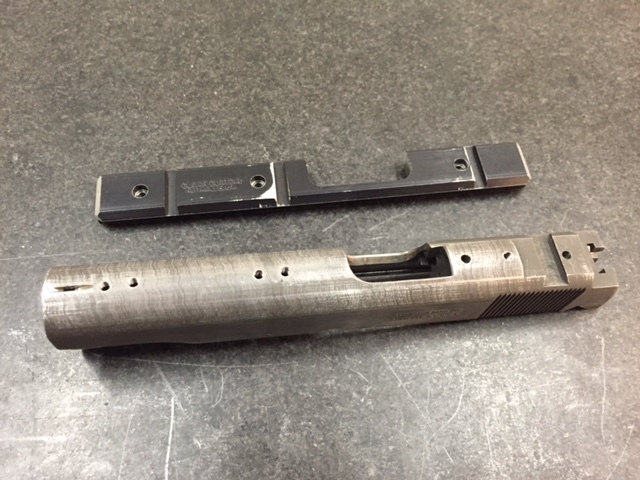 This old Remington Rand slide had a clark rail installed on it. The holes were drilled off center. Was thinking of tig welding the holes up and relocating them. Is this a good idea? I'm worried about making the slide soft or warping it. Any advise? Re: To weld on slide or not ? A High Master in my area actually had his scope rings welded onto the slide. It can be done. Chances are your slide is already soft. A good tig won't do any damage. Just make sure you let your welder know you have to have it drilled and tapped again.